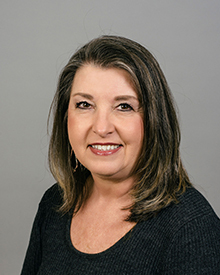 First introduced to banking as a teller in 1984, our current Vice President and Taylor Branch Manager Deborah Parker is an outstanding member of our Citizens National Bank family. She believes that hard work and giving 110% will get you where you want to go — and there’s certainly no denying that she’s worked hard for our Taylor community for over four decades. An avid supporter of chamber and civic organizations, her leadership roles include: current member and past president of the Taylor Area Businesswomen, current director and past president of the Taylor Lions Club, current ambassador and past director of the Taylor Chamber of Commerce, and Taylor Lion’s Foundation Board Secretary. Parker serves as a board member for the Johns Community Hospital Foundation, the Scott & White Taylor Board of Visitors, and the Main Street Advisory Board. Past board memberships include that of Saint Mary’s School Board, Taylor ISD SHAC (School Health Advisory Committee), and the 40 Assets Board. One component of Parker’s success has been her belief that, “if you surround yourself with a good team, they will help you shine.” A group of talented, knowledgeable, and positive-minded individuals will motivate their teammates to strive for excellence — raising the bar to benefit all. Parker’s involvement in numerous clubs and organizations clearly provides opportunities to be inspired by multiple community member groups. Among those, she is a member of Saint Mary’s Folk Choir, and the Taylor ISD Facilities Task Force, a frequent St. Mary’s School Fall Festival auction chairperson and a M.A.P.S. mentor for 15 years at Pasemann Elementary. In addition, she’s helped raise money “locked up” for MDA, participated in Taylor Relay for Life and has helped with numerous Chamber fundraisers and events. When not working or volunteering, this Taylor High School alumna enjoys camping, traveling and scrapbooking.